PITTSBURGH (April 24, 2018) … Although Pennsylvania's vast coal resources have been mined since before the creation of the United States, protection of the environment from the effects of mining have slowly evolved and expanded since the Surface Mining Conservation and Reclamation Act of 1945. Act 54 of 1994 amended the Commonwealth's mining statutes to include a new set of repair and compensation provisions for structures and water supplies impacted by underground mining. 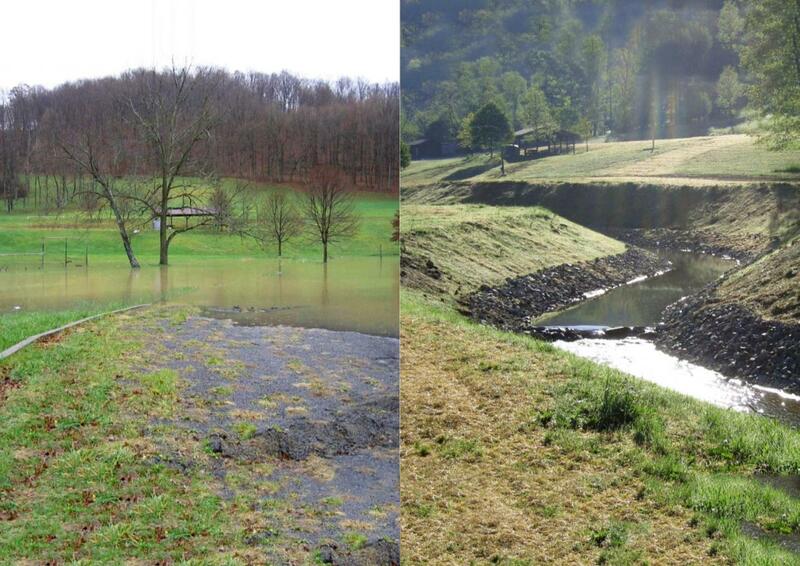 Funded by DEP and the U.S. Department of the Interior, an interdisciplinary team of researchers led by the University of Pittsburgh has begun the fifth report on "The Effects of Subsidence Resulting from Underground Bituminous Coal Mining on Surface Structures and Features and on Water Resources: Fifth Act 54 Five-year Report." The $794,205 contract includes a comprehensive review of the built and natural environments impacted by long- wall, room-and-pillar, and retreat mining methods from August 21, 2013 – August 20, 2018. Principal investigator for the fifth report is Daniel Bain, assistant professor of geography and environmental engineering at Pitt and Faculty Fellow in Sustainability, and co-PI is Anthony Iannacchione, associate professor of civil and environmental engineering in Pitt's Swanson School of Engineering. Investigators from the Carnegie Museum of Natural History are Stephen Tonsor, director of science and research, as well as John Wenzel, director of the museum's Powdermill Nature Center, and Powdermill's aquatic entomologist Andrea Kautz. "This project is an ideal wedding of the expertise in two schools at Pitt and Carnegie Museum of Natural History, providing vital information to the citizens of the Commonwealth," Dr. Tonsor said. "The project also trains students in working with government and business, applying scientific knowledge to improve management of this economically and environmentally impactful industry." "Thanks to this regular review, the DEP has adjusted assessment focus to evolve from basic structures to water, then streams, then wetlands, taking a deeper look at the watershed as a whole," Dr. Bain said. "The challenge is collecting sometimes limited data from various resources, as well as new types of data such as the interaction between groundwater and streams. This process is an evolving territory for everyone involved, from the Commonwealth and mining companies to public interest groups and NGOs, but it is vital research that has a tremendous impact on environmental remediation and restoration." "For this study we're a combination of auditors and researchers," Dr. Iannacchione explained. "But since the first assessment was completed in 1999, the process has not only given industry, government and non-government organizations a greater look at the impact of underground mining, but how the Commonwealth can better identify and address problems, and improve the DEP process as a whole."